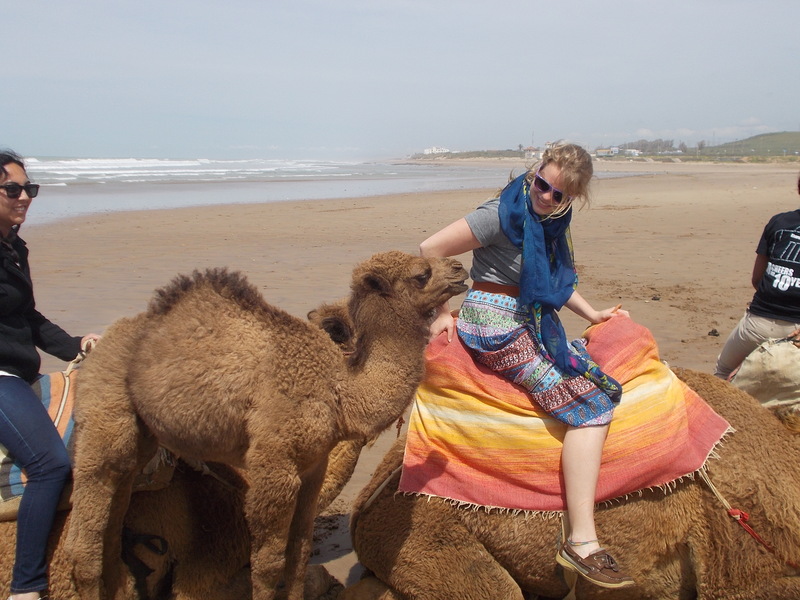 Three weeks ago, I traveled with a great trip organized by my study –abroad program to Morocco. I have waited to write about it for this long so I could process the trip a bit more before sharing it with y’all. The reason it was so great was because they were very focused on us getting to know the reality of life and culture of Morocco. And that they did. It is, by far, the furthest removed cultural experience I have had in my life. As Morocco is a developing country still ruled by a king, I knew that going in. However, in Morocco there is also a great interest in values not usually attributed to Muslim countries, such as women’s rights and general freedoms, and they seem to be transitioning in that direction quite rapidly. The many conversations we had with Moroccan students during our time that spoke that loud and clear. In Rabat, many had or have had boyfriends and girlfriends, even though one or both parents frowned upon it in most families. (And of course that come up a lot in conversations between college students :P). That was very telling for the huge generational gap that exists there. It is also an Islamic and Islamist country. While having some of the most liberal interpretations of Islamic law to be found, it still affects daily life. In the country area we visited, one of the women explained to us that women being able to request divorce is an improvement implemented in the last ten years and that even now it still can take up to six or seven years for the divorce to get through the courts as opposed to a rich man can take almost no time at all. The religious conservatism also led to clear conservatism in dress as well. One of the benefits of that conservatism that I had not thought about before, I experienced first had. We had the opportunity to ride camels while we were there, hosted by a camel herder that seemed to speak no English. Of course I had decided to wear my long skirt that day, so I had to kind of arrange it as I hiked up on the camel. During my very awkward dismount, he happened to grab my bare knee to steady me as the camel lowered himself. As soon as possible, he readjusted his hand so he could put cloth between my knee and his hand. That respect struck me a very agreeable, especially to someone of a culture he probably knew doesn’t value that respect as much. However, when that conservatism changes from being a form of respect to a reason for judging if someone is not following that rule (as it usually does), I find a huge issue with that. That was also quite evident there. Extremely explicit cat calling is common and as soon as I would make a simple change such as taking my hair down from a bun, I would get it even more. It will be interesting to see that state at which Morocco ends up in the future, but in my opinion it seems to be moving in the right direction. I am still overwhelmed with the cultural beauty as well as economic disparities we saw and I’m confident I will remember the experience forever.